Boring? Uncharismatic? Not kiwi – our national icon and a quirky bird! Kiwi are our living icon and perhaps the most taken for granted of all our native species. Commonly found in company logos, product packaging, clothing design and much, much more, we are proud to be known worldwide as Kiwis. But how much do we really know about them? And why are we known as Kiwis? Is it simply because the bird appeared on shoe polish during the war, or is there more to it? Kiwi are unique, independent and survivors. They are brilliant birds and we, humans, can certainly identify with their quirky lifestyle. For starters – they’re more like a mammal than a bird! They have shaggy feathers like coarse hair, heavy marrow-filled bones, a mammal’s low body temperature and they burrow like a badger. Often thought of as docile and placid, you only have to view the scars and scratches on the arms of kiwi workers to know this isn’t true. Their powerful legs are used for digging and also as defense, as they deliver powerful blows with strong legs and razor-sharp claws. Kiwi are also fast runners – over open flat ground few of us would be able to outrun an adult! 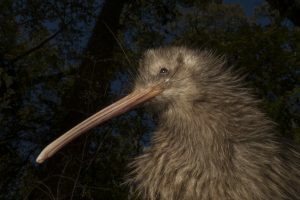 And if you thought that males run the roost in the kiwi relationship – think again: It is the female that is not only larger and stronger, but also dishes out the jobs at home: She has two functional ovaries and lays massive eggs. Relative to body size, it would be like humans giving birth to a 3 or 4 year old! Just like humans, kiwi species vary in their behavior – some share incubation and will live as family units, others certainly do not. After laying her two eggs, female North Island brown kiwi will summon her partner, saddle him up with the arduous task of incubation while she takes off and finds a neighbour to play around with. Who has the tougher job? That could become a national debate in Aotearoa! The kiwi chicks emerge from their shell looking like mini replicas of their parents – fully feathered, eyes open, and within a few hours fluffed up to a gorgeous chick. 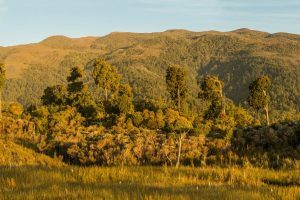 There are nearly 80 volunteer-based community groups, five sanctuaries managed by Department of Conservation and countless other landcare agencies, iwi groups and more all battling to save our national icon. And, often the work done to protect kiwi benefits the entire ecosystem in which it lives. 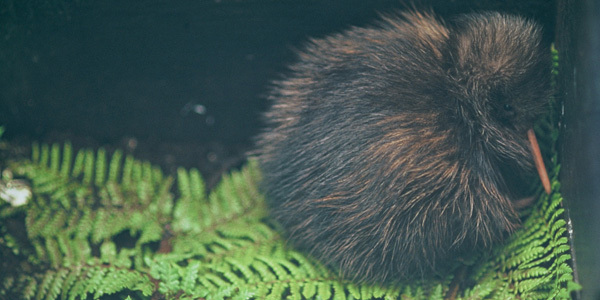 A vote for kiwi is a vote for our identity, our national icon, and for every other species in the forest! Michelle Impey has contributed 2 entries to our website, so far. View entries by Michelle Impey. I’ve been watching your number of votes rocketing up since Sat, and who says the kiwi can’t fly? Kiwi – you’re literally flying!! Congratulations Kiwi! You took the wind out of the rifleman’s sails but, with so many birds deserving of the title “Bird of the Year”, this year was your year.